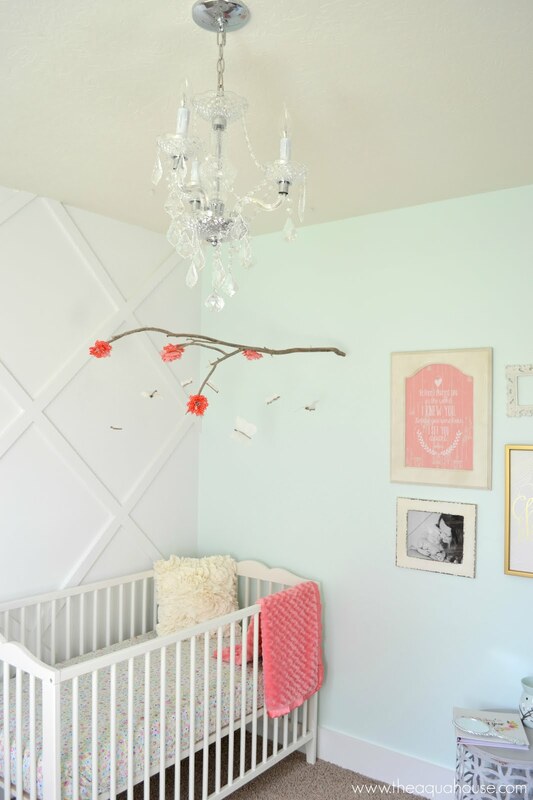 I've heard so much lately about chalk paint and how wonderful it is. I must admit, the "I like projects to be fast" part of me was thrilled with the idea of NO sanding and priming. 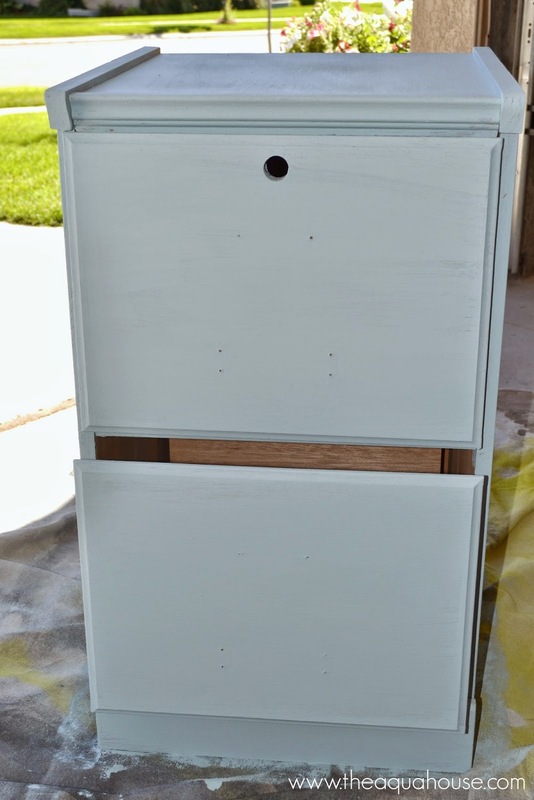 I've finished a few pieces of furniture before like my hutch and desk and I hated the time it took to sand, prime, paint, sand, and paint some more. I am happy to say that I am totally converted to the convenience of chalk paint! 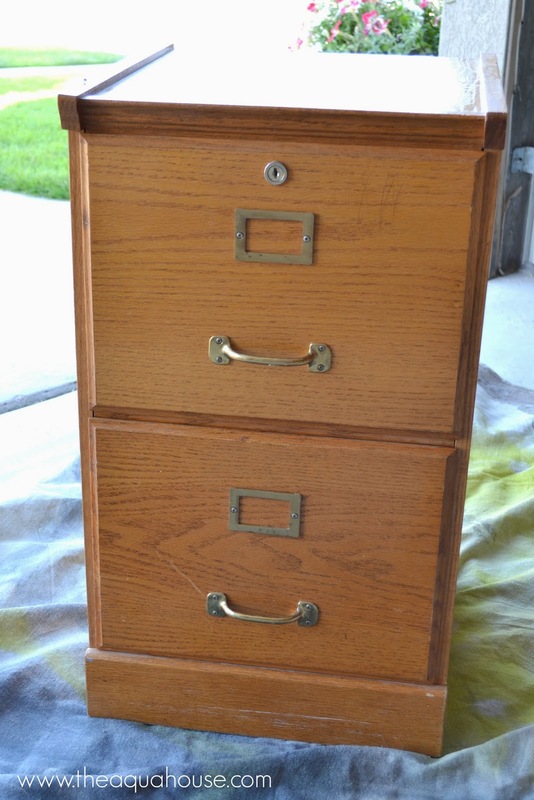 I came across this nice little file cabinet at a local thrift store. After ditching our giant desk, I was still in need of some extra space for some files and I knew that with a coat of paint that this cabinet would be perfect. My mother-in-law has recently painted her bathroom cupboards in chalk paint, and after seeing the results, I knew I wanted to try it. 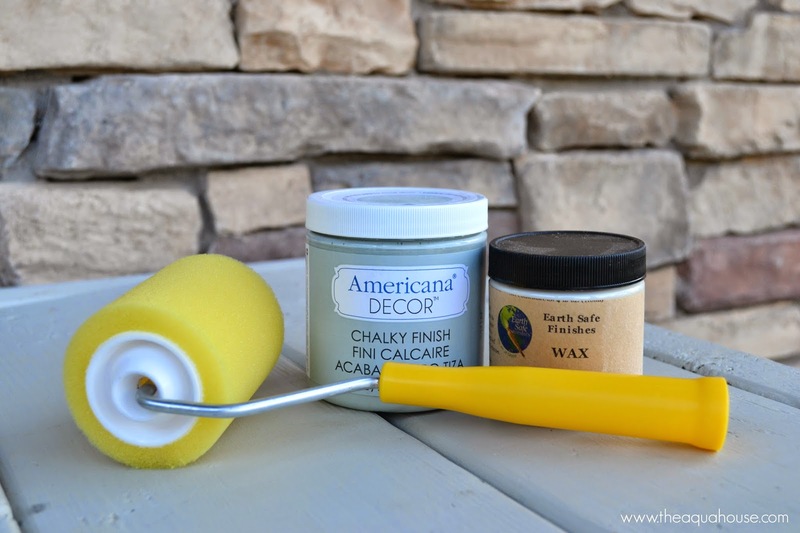 So I picked up some Americana Chalk Paint (color is Vintage), some wax, and a new roller. 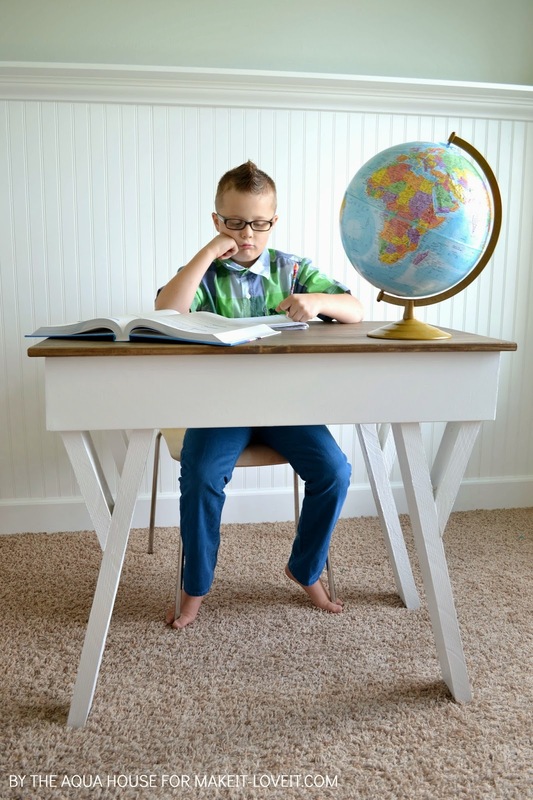 The first step is the same as it is with any other furniture refinishing project: remove the hardware and give the piece of furniture a good scrub down. I'm always amazed at how dirty furniture actually is! Now this is the fun part...start painting! Seriously. No sanding! No stripping! No priming! Just open that chalk paint (give it a good shake up first) and start painting. 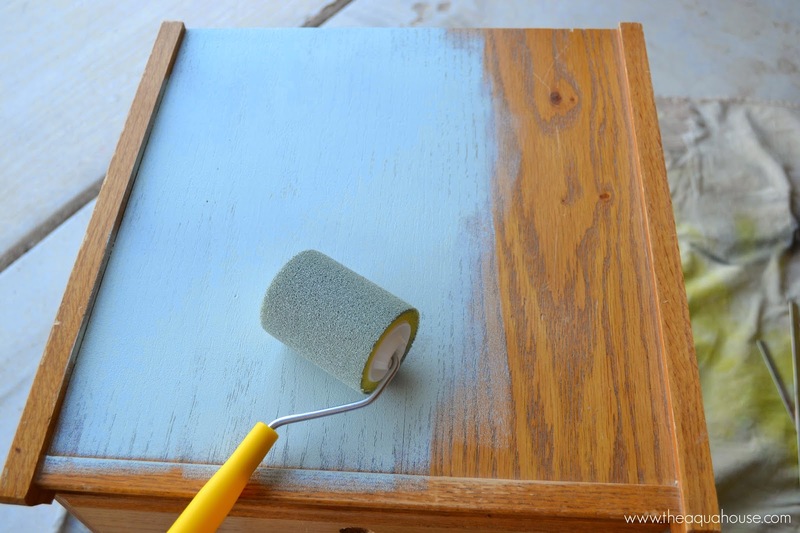 You can use either a roller or paint brush with chalk paint. I used a roller for the bigger areas and then came back in with my brush for the more detailed areas. 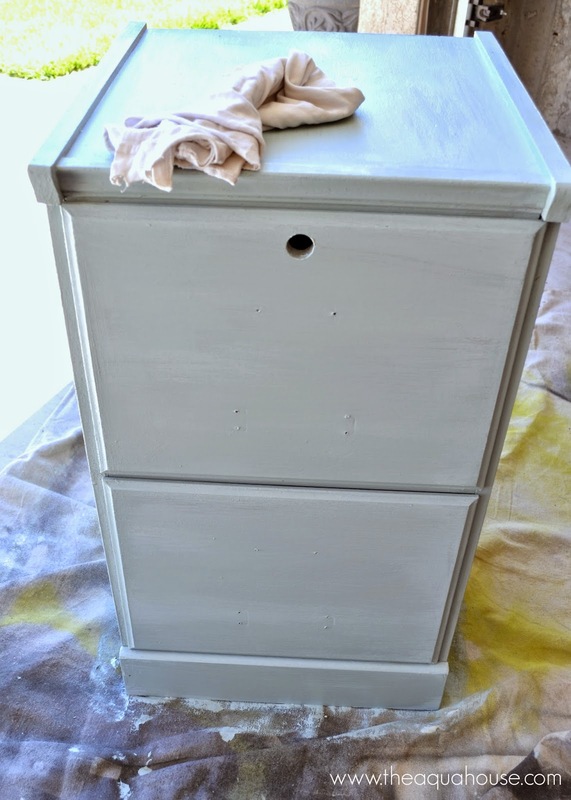 The nice thing about chalk paint is that the paint brush strokes will flatten as it dries so you don't need to worry about sanding the paint to get rid of those brush marks. 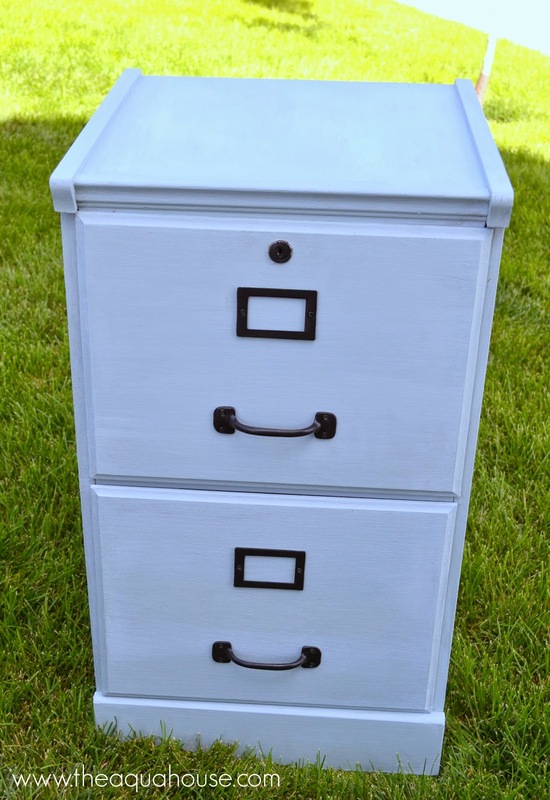 I gave my file cabinet two coats of paint because I wanted it completely covered, but most of the time one good coat of chalk paint should be enough to cover your project. Now let your project dry while you go grab new hardware or paint the old hardware. 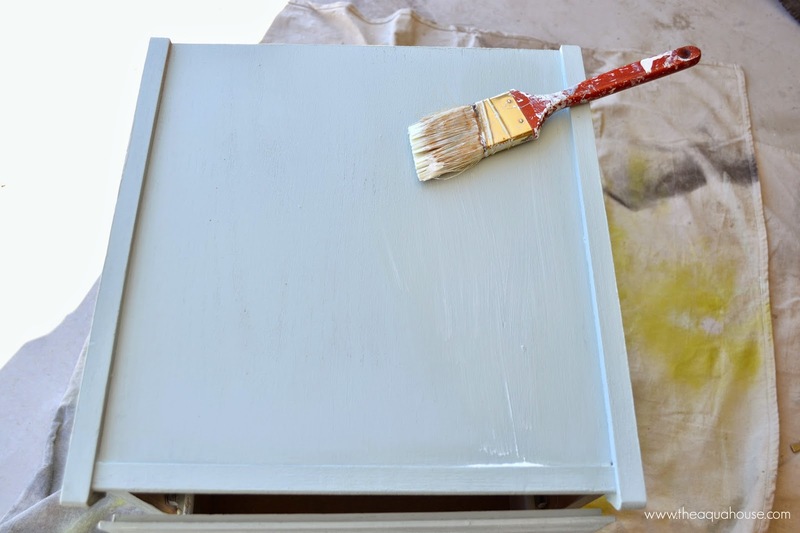 You can even use chalk paint to paint your hardware too! I, however, used black spray paint so it would match my desk. If you would like to, now is the time to distress your piece of furniture. I'm not really in to distressed furniture so I didn't distress this piece. If you would like to distress your piece just take some sandpaper and scuff it on the edges and areas that would have naturally been worn down. Now that your piece of furniture is dry, you can pull out your wax. There are two types of wax: clear and dark. 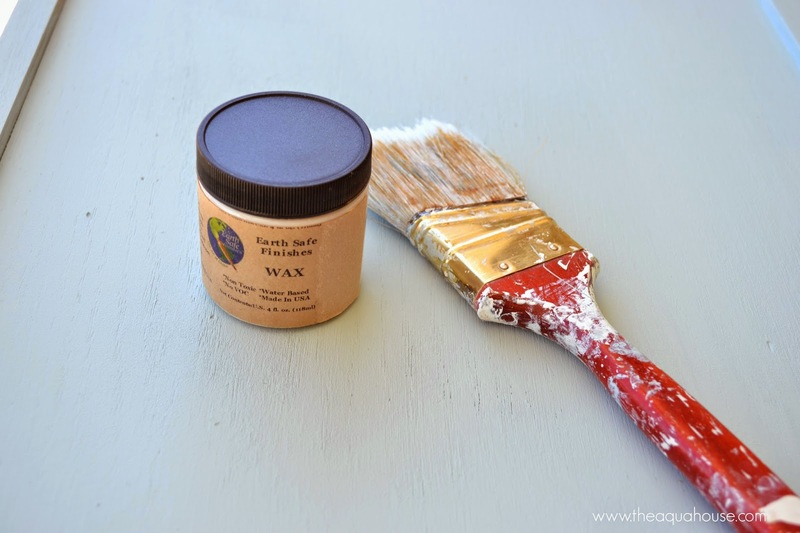 Clear wax is used to seal the chalk paint and gives it a slightly darker and glossier appearance. It will help to protect your piece so it doesn't chip. Dark wax is used to give the piece a more worn and aged look and it is suggested that you put it on over the top of clear wax so you don't ruin your paint color. There are specialized wax brushes out there that are more of a round brush. I have heard these work fabulously, but I just used one of my old paint brushes and it worked great for me. Start by taking some wax out of the jar (a plastic spoon or paint stirring stick works great for this) and put it on a paper plate or piece of cardboard. Dip your brush into the wax, covering only the tips of the brush, and then apply it to the furniture. Only wax a small area of your piece. Then take a color free rag and rub the wax in using a circular motion. This helps to remove any excess (like you can see in the above picture) and helps to work the wax into the paint. You will continue to wax small areas then rub it in until the whole piece of furniture is waxed. Let it sit for awhile to dry. Wax is a fabulous way to seal furniture. It doesn't have the odor of other finishing products like polyurethane and it is so easy to use. I even used wax on my Farmhouse Modern Desk that I made for Make It and Love It and it gave the top of the desk a beautiful slightly glossy finish. After completing the waxing step, you can add your hardware back to the piece and it is finished! (And probably done in less than half of the time that it would have taken to finish it with other paints.) This project only took me a few hours and I am so happy with the result. 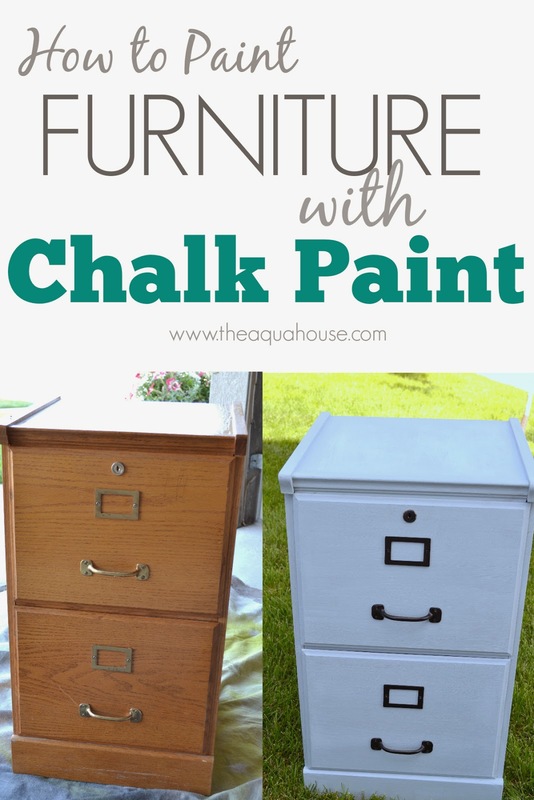 I'm looking forward to refinishing some more furniture soon and will definitely be using chalk paint from now on! I LOVE it! 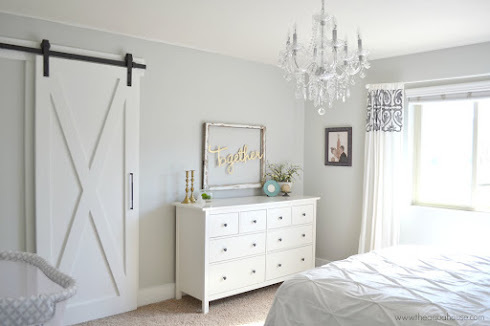 Where can I buy chalk paint? I am all about not sanding. I really love these paint collection, thanks for this post. Nice article with beautiful pictures. Thanks for sharing this post. Good job. I like this. 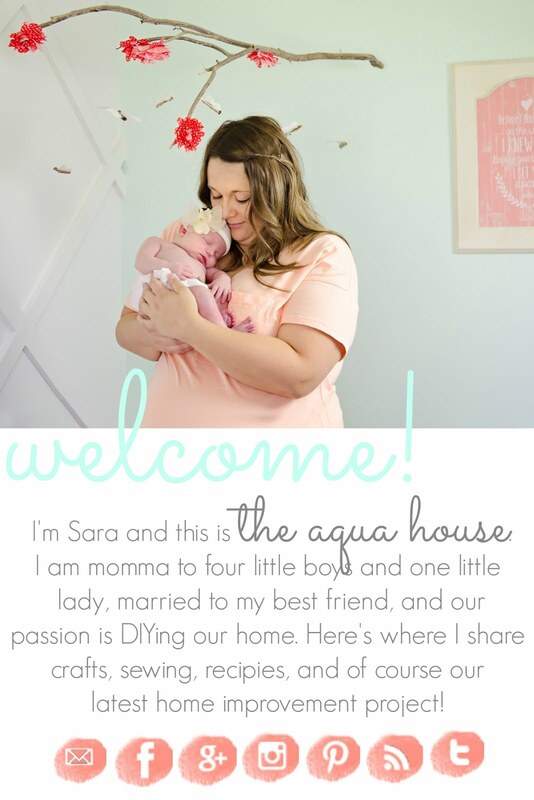 Really happy to visit your blog. Thanks for sharing. wow! nice room furniture. i like this furniture. Big thanks to you for sharing such great information. It's very nice to chalk painting.